A little boy is born in Bangladesh. He is only 36 hours old – and not yet named – when he is taken to Dr Tanveer Ahmed, a plastic surgeon at Dhaka Community Hospital. 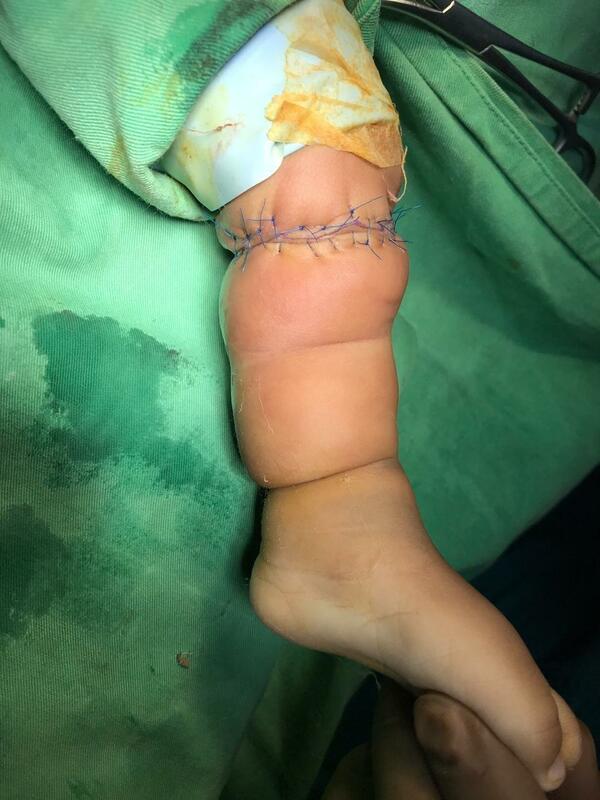 The baby was born with amniotic band syndrome in all four of his little limbs. This condition caused autoamputation of some of his fingers and toes, and a clubbed left foot. 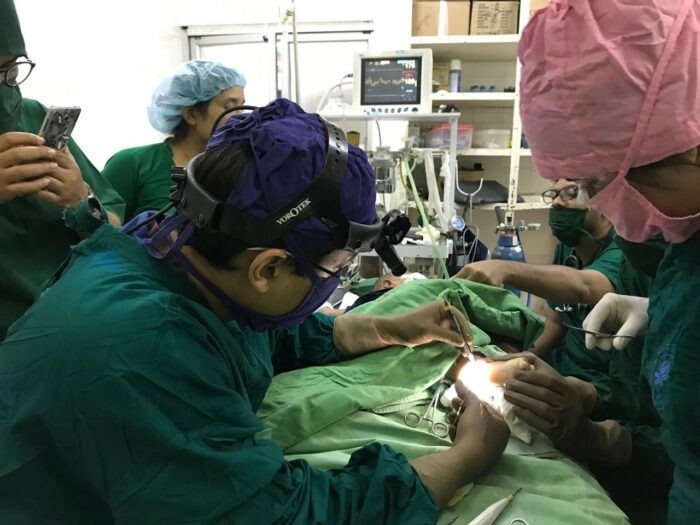 Tanveer has been working alongside Interplast volunteer surgeons in Bangladesh since 2013, advancing his complex plastic and reconstructive surgery techniques. He was part of a group of talented local surgeons handpicked by Interplast to participate in training placements in New Zealand or Australia. Thanks to a donation from Vorotek, Interplast was able to give a Vorotek headlamp to Tanveer. The headlamp provides surgical quality illumination which is essential for intricate surgical procedures and this technology is widely used among surgeons in Australia and New Zealand.